With nearly 40 years of experience and more than 300 fulltime employees across its seven locations in Ontario, Great Northern Insulation (GNI) services homeowners and industry professionals in the residential, commercial, industrial and agricultural sectors. GNI offers a complete list of building envelope products and services for new and retrofit projects to increase energy efficiency, comfort, and structural durability. These solutions include insulation, air sealing, fireproofing, panel and cladding, building diagnostics, thermography, and more. As a member of the MillStreet group of Companies, it is our collective vision to be the number one Construction Services Provider in Canada. Here is a list of our related companies intent on fulfilling that vision. For nearly 40 years, Great Northern Insulation has increased the comfort, energy efficiency and durability of buildings and homes throughout Ontario. Our mission is to provide affordable solutions to each and every customer by reducing their energy costs, improving the acoustics of their living or working environment or addressing their unique fire protection requirements. We deliver this with the most experienced staff in the industry. Ongoing professional development is an obsession at GNI and we will not compromise at any level to bring to our customers the very best installers, sales representatives, Customer Care personnel, field superintendents, estimating and technical support to your project. Our commitment to bring to our customers real value: the right products, prompt scheduling, installed right, guaranteed. Living up to this promise every day has earned the respect and trust of our loyal customers. Over 50% of our residential installations are repeat or referral customers. There is a difference that quality makes. There is more to insulating than just adding insulation. Contact Us today and experience what a true professional contractor can do for you. 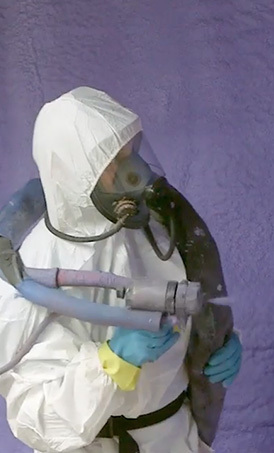 In 1980, Great Northern Insulation began serving Southern Ontario offering spray foam insulation, blown-in attic insulation, and sprayed-in-place acoustic and fireproofing fibres. Today, Great Northern Insulation has grown to serve all of Ontario providing an even wider variety of insulation and weatherization services. 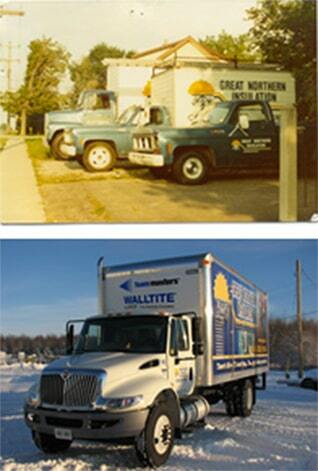 Seven locations throughout Ontario; over 300 fulltime employees; 20 field superintendents providing pre and post-inspection services; certified thermographic services; trained blower-door technicians; forensic building science capabilities; EnergyStar trained sales staff; ‘D' and ‘AZ' licensed professional truck drivers; manufacturer trained and certified installers; dedicated Customer Care department. While anyone can simply install insulation, we firmly stand by the statement that "There is more to insulating than just adding insulation." When selecting an insulation contractor, evaluate your options based on their experience, product expertise, customer service and workmanship. Ensure your next project is a success, contact Great Northern Insulation today.